One last swap to share with you today. This one was done by Cynthia Bernier. I love the simple elegance of this card. 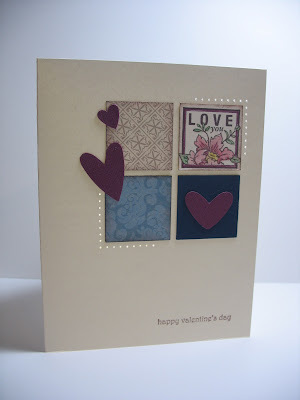 You will see that I cased this layout for a card we will be doing at an upcoming class.